GT Service Centre specialises in car servicing and MOT. 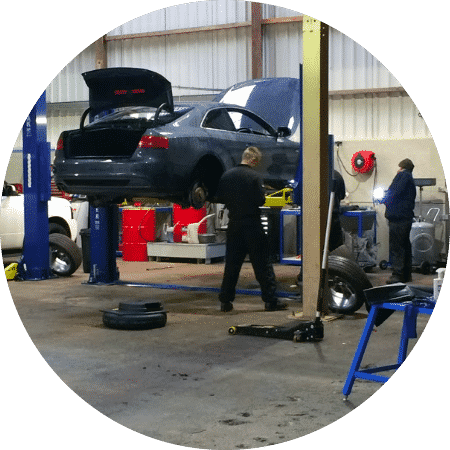 We can service all cars to their recommended manufacturers schedule, and have courtesy cars (collection and delivery) while you wait for services. Our office in Harrogate has a selection of coffees, and kids play area. We’re situated next to Pannal train station for easy access to Harrogate or Leeds. We offer a fantastic in-depth signature ‘GT’ service for just £199 inc VAT, and our manufacturer services start from just £89 inc VAT. Your warranty is NOT affected if you use us. Click here for more info. Is your vehicle due an MOT? Our MOT trained technicians can carry out any work required for your car to pass its MOT – including tyres, brakes, suspension and steering problems, and usually the same day too. We have specialist knowledge with Audi, BMW, Mercedes, Volvo, Land Rover, Mini, and Volkswagen. At GT Service Harrogate we offer a full MOT check where we will prepare your car for its MOT. Our MOT trained technicians use the latest equipment to complete the MOT for you, and any work required to reach the standard for a vehicle to pass its MOT (including tyres, brakes, suspension and steering problems), and this can usually be done the same day too! Toby went out of his way to help me with a part for a BMW- providing service that is second to none. Highly recommended.